Happy Friday, friends! I am not sure if I've ever been so excited for a Friday to roll around, so lets get to it! I'm linking up again with Christina and the Five on Friday crew for my favorites from the week! I'm feeling really behind on Christmas decorating this year. I never realized how much effort it takes for a 7+ month pregnant girl to string lights on a tree. Lets just say there were lots of swear words, breaks, and huffing and puffing... But I'm getting excited to see it all come together, including the newest addition to our stocking collection! More (and better) pictures to come! The sweet folks at Candlefish in downtown Charleston were sweet enough to send this candle along with some matches this week and it smells amazing! Certainly makes writing out baby shower thank yous a little more enjoyable. It makes me excited for their holiday candle workshop next week, stay tuned! 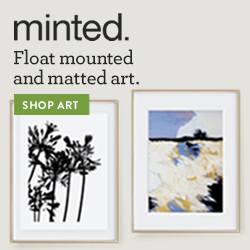 You can check out their shop here and if you're local, make sure you stop by... I'm thinking these would be great gift ideas! This weekend I've got a ton on the to-do list, the most important task is baking cookies. I'm also planning to update the blog a bit and work on a Christmas DIY for our final holiday linkup on December 16th! To hold y'all over until then (I know you're just dying to know what I've got in store... right?) 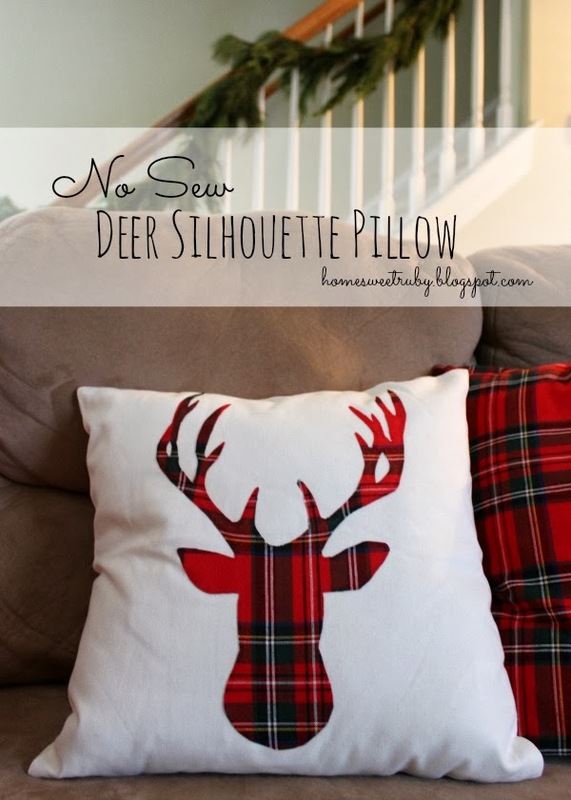 I wanted to share my favorite Christmas DIY from last year, this no-sew deer pillow! It's still going strong on our couch this year! This mama is off to rest some before another Christmas decorating kick comes along, I hope you all have a great weekend! Oh yum, that soup looks so good! I make a very similar one but without the mozz balls - what isn't made better by cheese?! That candle-making workshop sounds like so much fun, I might have to see if I can look into it! That pillow is just too cute and so festive! 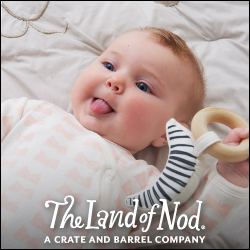 Aww love your baby stocking! That's such a good idea with that diaper bag. 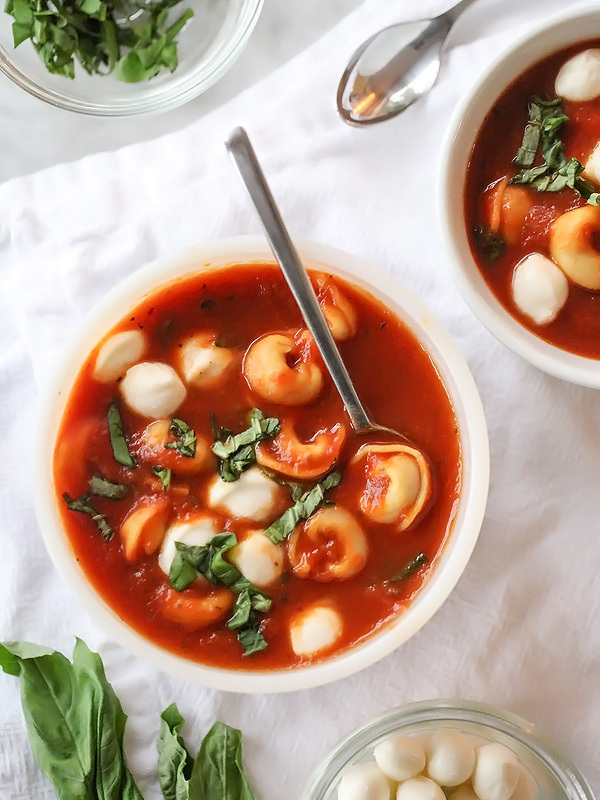 I've been looking for a good tortellini soup recipe too! Thanks for sharing and have a fab weekend! Oh my goodness! What a cute pillow!! And that diaper bag is classic. I just made the plunge on Cyber Monday and bought a Lily Jade and am loving it!! Oh my goodness does that soup look delicious!! Love your Christmas stockings! I've been drooling over that style of stocking for a few years and just haven't bought them. They look so darling! I'm so impressed with all the DIYs and decorating your're doing that pregnant!! 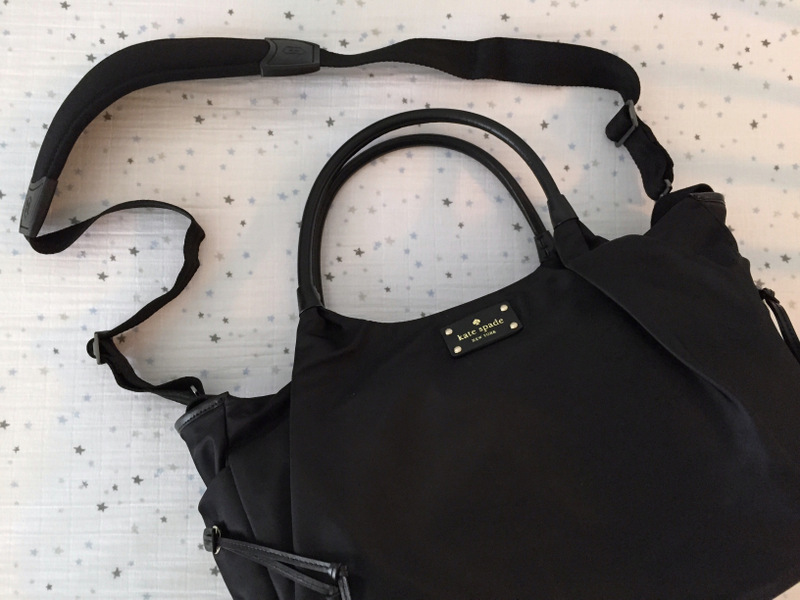 Great idea on the Stevie bag- a cross body makes life so much easier. No sew project? I'm all about that - gotta check it out! Yum to that soup! I've got the candle from CF in my car unlit (obvi hah) and it smells soo good. You're too smart with the strap change-out! That soup looks so good! Will Steve eat it? So smart to add a crossbody strap. Lugging a purse on my arm already kills after a few hours I can't imagine trying to hold a kid as well! Can't wait for the Candlefish party!! That soup looks amazing!!! And love love love that Kate Spade baby bag! So chic! That no-sew pillow is just what I need! Not to mention it fits the plaid crave that's been going on perfectly! Love the pillow! Great work! Your Christmas stockings are so cute! Have a great weekend! Oh my gosh your living room decor looks perfect!! Since I can't sew to save my life - that pillow DIY is right up my alley!! Hope you have a great weekend!